Inclusive leadership focuses on creating a culture where differences are valued and appreciated, contrasting opinions and perspectives are encouraged and employees have a sense of both uniqueness and belonging. Research has shown that organizations with leaders that facilitate inclusive cultures tend to have employees who contribute more, stay longer, make better decisions, collaborate more effectively, perform better and are more engaged, innovative and motivated. Organizations that have inclusive cultures are also twice as likely to meet or exceed their financial target, as well as six times more likely to be innovative and anticipate change, according to Bersin’s 2017 research on building an inclusive culture. Our recent research further supports the notion that inclusive leadership increases an inclusive culture, as well as the notion that diversity does not always lead to inclusion. Through a survey of employees from 156 of the 250 organizations on the Forbes“America’s Best Employers for Diversity” list, we found that inclusive leadership highly correlated with inclusive culture. Today’s organizations already have some of the basic building blocks of creating inclusive cultures. The most important of these is having diversity in the workforce. Diversity, simply put, is all the ways in which employees differ. These differences can include a wide range and combination of factors: gender, race, ethnicity, age, religion, national origin, cultural background, sexual orientation, political affiliation, education, experience, socio-economic background, personality, tenure and work style. 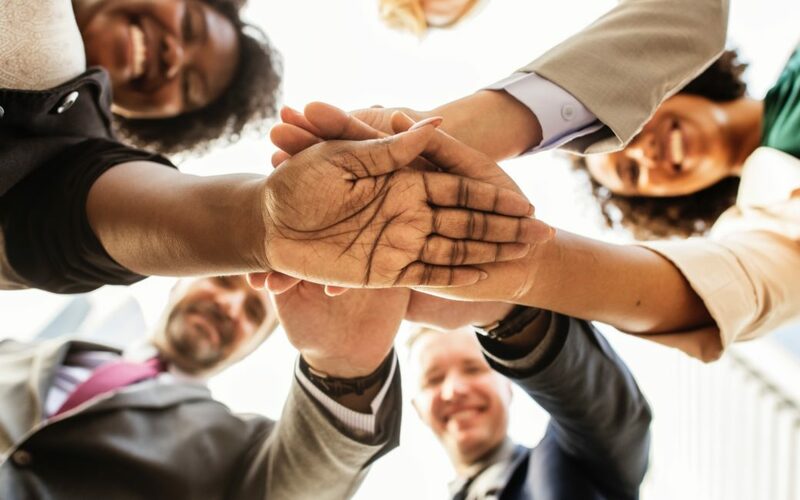 Proponents of workforce diversity advocated for the many benefits of having the “right mix” of employees, including increased productivity, engagement, job satisfaction and innovation. As such, most organizations have focused on achieving workforce diversity through a variety of initiatives over the past few decades. Many have been successful in increasing diversity, albeit primarily focused on racial/ethnic and gender diversity. Unfortunately, the expected benefits did not always materialize and in some cases had the opposite effect. For example, some organizations that increased diversity without creating a more inclusive work environment experienced lower productivity, engagement and job satisfaction due to employees from diverse backgrounds feeling alienated and their contributions unappreciated. Having a diverse workforce was not enough. Organizations neglected to realize that there is an ongoing process required to integrate, manage and nurture employees in a way that facilitates the benefits of diversity. This process is known as inclusion. Inclusive leadership encompasses five main aspects of a leader’s approach to working with others in the organization. At a high level, inclusive leaders are supportive, equitable, entrusting, encouraging and enabling. These five facets of inclusive leadership are interrelated and often lead to one another depending on the environment. In other words, all facets must be present to some extent, but may vary in degree for different situations. These aspects are key not only for interactions with those employees who report directly to the leader, but also to others with whom the leader must influence in order for his or her team to be successful. The table below provides examples of the “do’s and don’ts” for each facet of inclusive leadership. Becoming a more inclusive leader is an ongoing process, but there are three main steps to start you on that path. First, evaluate where you stand on the inclusive leadership continuum. Seeking feedback and/or completing a 360 appraisal of your on-the-job behaviors that are related to inclusive leadership would provide you with data of how others perceive your inclusive leadership skills (or lack thereof). Next, identify areas for development based on that feedback (going from good to great). If you have more than five areas of development (as most will), focus on a few areas at a time. Don’t try to do it all at once. Third, create an action plan that includes development activities on the job as well as e-learning or other more traditional learning programs. Sharing the plan with others will only help reinforce your commitment to becoming a more inclusive leader. Finally, don’t forget to build in some personal rewards for meeting objectives. As you travel down the inclusive leadership development path, you will notice a profound difference in interactions with others. Coworkers who barely said a word to you in the past may become your best source of new and innovative ideas. Direct reports will likely become more willing to go above and beyond and become more motivated and engaged in the work they do. Your team’s level of collaboration and quality of decision making is likely to rise to levels higher than ever before. As an inclusive leader, all of this is possible, but you have to take the first step.